There were 2-3 of these cute little ones foraging in the nooks and crannies of several of these rock-walls that we could see from where we were staying at Bhulkan near Chopta. They were very active and though we could see them on these rocks they preferred to keep to the dark and shadows rather than come out in the open. 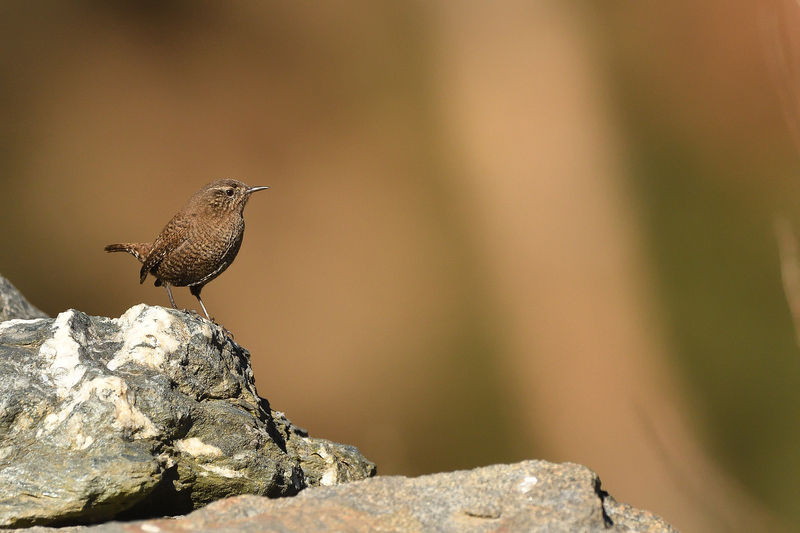 Took quite a while of waiting for the wren to jump onto a rock with no clutter in the background – just the moment that I was waiting for. Great capture. I have a hard time photographing wrens.